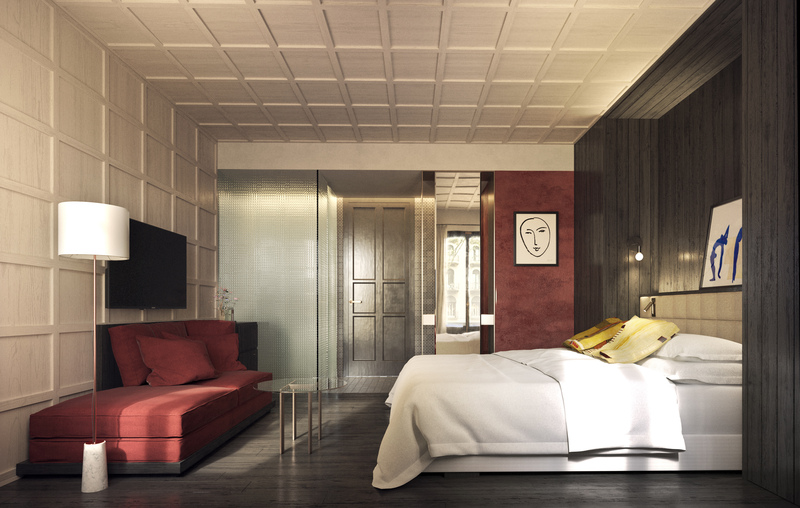 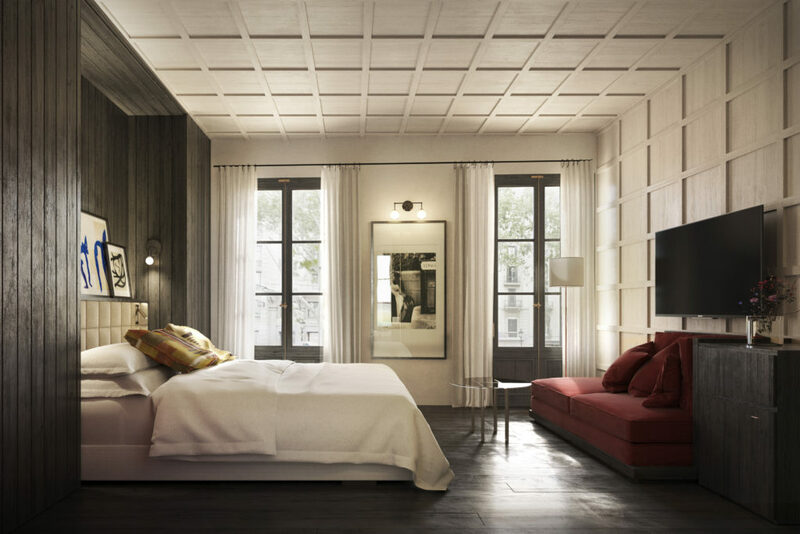 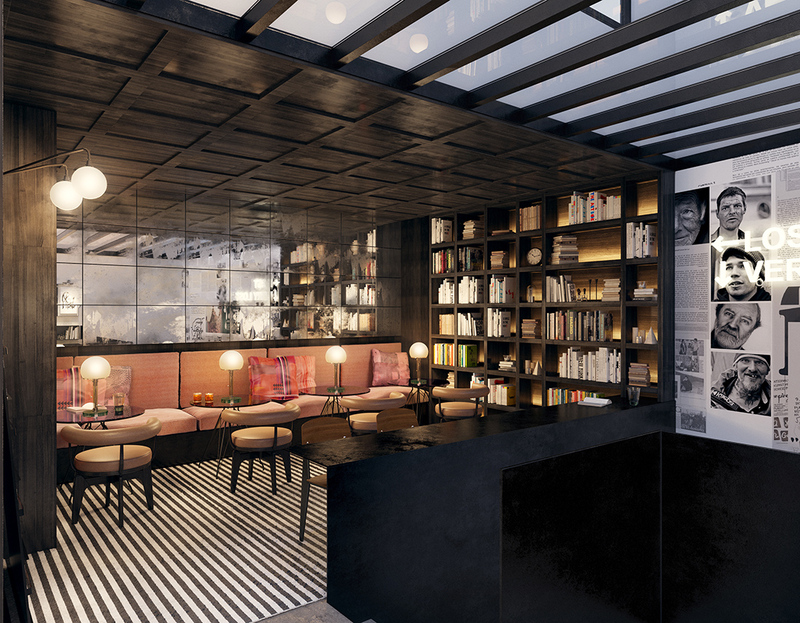 Interior design Project for a hotel of 40 rooms in Las Ramblas, Barcelona. Blending shades of the “Modernist Barcelona” and the “Industrial Barcelona”, we sought to create a new Hotel concept where the guests could feel they are staying at their own private apartment in the city, away from the traditional hotel concept. 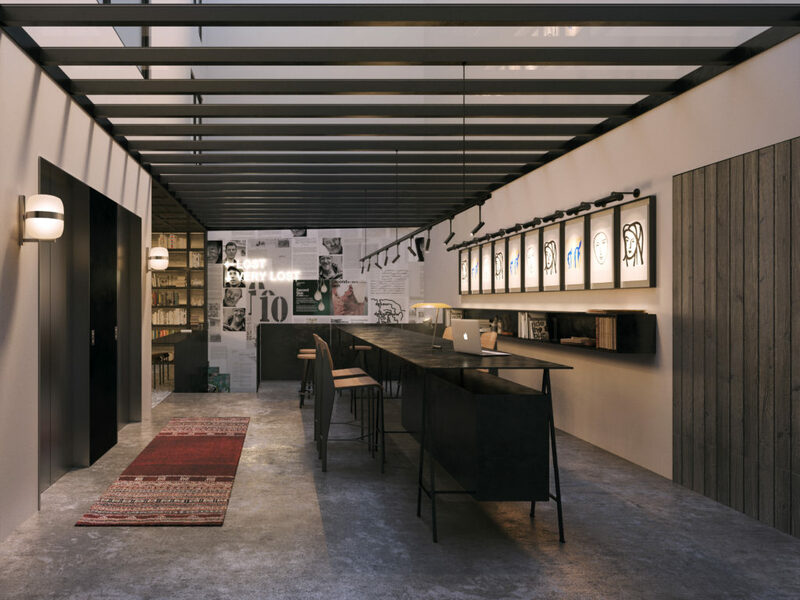 In line with this idea, the hotel entrance appears unnoticeable, the reception desk is converted into a communal table shared by personnel and guests and the hotel signage is developed in a very discrete appearance.